Groveton is a city in Trinity County, Texas, United States. The population was 1,057 at the 2010 census. It is the county seat of Trinity County. According to the United States Census Bureau, the city has a total area of 2.6 square miles (6.8 km²), of which, 2.6 square miles (6.6 km²) of it is land and 0.1 square miles (0.1 km²) of it (1.91%) is water. As of the census of 2000, there were 1,107 people, 444 households, and 278 families residing in the city. The population density was 431.6 people per square mile (167.0/km²). There were 565 housing units at an average density of 220.3 per square mile (85.2/km²). The racial makeup of the city was 73.08% White, 18.25% African American, 0.18% Native American, 0.09% Asian, 6.23% from other races, and 2.17% from two or more races. Hispanic or Latino of any race were 11.38% of the population. There were 444 households out of which 32.0% had children under the age of 18 living with them, 41.2% were married couples living together, 16.2% had a female householder with no husband present, and 37.2% were non-families. 34.9% of all households were made up of individuals and 21.6% had someone living alone who was 65 years of age or older. The average household size was 2.34 and the average family size was 3.04. In the city, the population was spread out with 25.8% under the age of 18, 8.2% from 18 to 24, 24.8% from 25 to 44, 18.3% from 45 to 64, and 22.9% who were 65 years of age or older. The median age was 38 years. For every 100 females, there were 84.2 males. For every 100 females age 18 and over, there were 76.9 males. The median income for a household in the city was $19,250, and the median income for a family was $30,078. Males had a median income of $25,313 versus $15,833 for females. The per capita income for the city was $11,890. About 22.0% of families and 26.6% of the population were below the poverty line, including 31.7% of those under age 18 and 25.9% of those age 65 or over. The City of Groveton is served by the Groveton Independent School District and is home to the Groveton Indians. The Groveton News is published weekly by Polk County Publishing Company. Cody Johnson, country music singer-songwriter. 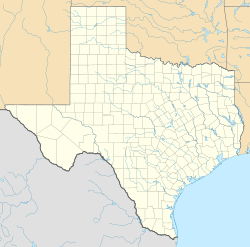 Wikimedia Commons has media related to Groveton, Texas. This page was last edited on 4 March 2019, at 04:31 (UTC).